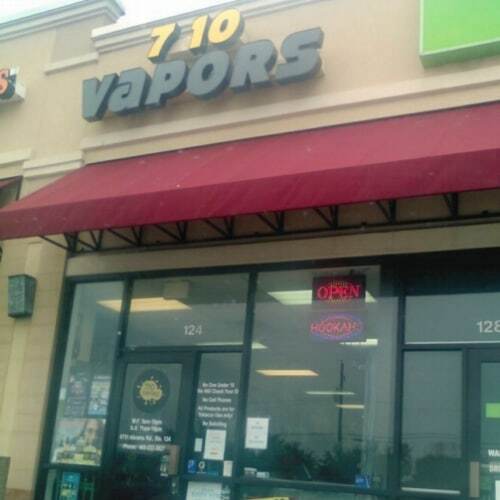 At 710 Vapors, our employees are dedicated to the highest level of customer service, product knowledge, and industry expertise that allow us to give you the best experience possible. Holy premium ejuice Batman!! This place is stacked with all the top brands i love. Its all about selection here. Got a new heady glass piece and they hooked it up with so much scwag. Really digging the new shirt and silicone. Will be back to 710 for all my vape and smoke shop needs! SUPER impressed with their customer service and product knowledge. The moonshot I got is a fog machine, and they set it up with a rocking build and walked me through the whole thing before i left the shop. Can't wait for a new box mod!